NIS lays in excess of 50kms of telecommunications, data and pay TV cable each year. We are Melbourne’s most experienced and reliable constructors of third party pit and pipe for telecommunications infrastructure. Our experience and ability to deliver comes from an absolute focus on compliance to industry standards and multiple, fully-equipped crews. You can rest assured that any NIS staff member or subcontractor on-site is fully accredited and abreast with the latest in industry practices and protocols. 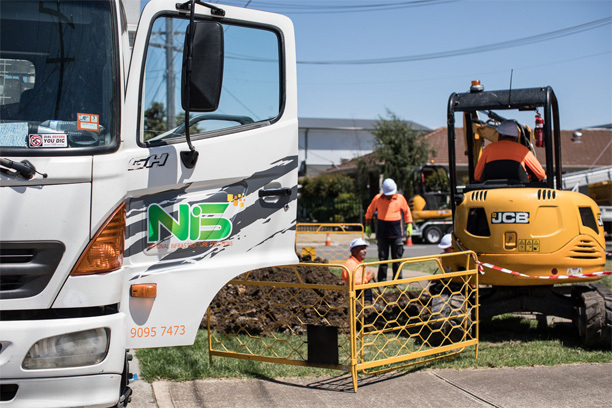 NIS holds an Open Registration Licence for the installation of Telstra, NBN and Pay TV cables and all staff are fully compliant to industry standards. Staff and subcontractors are supported by a program of regular training and development in areas including pit and pipe practices, cable hauling, working within confined spaces, traffic management, asbestos awareness, first aid, power awareness and manhole recovery. The safety of our staff and contractors on-site is not negotiable and our crews are constantly drilled on their knowledge and application of correct safety practices. Formalised management plans ensure everything gets checked off from SWMS on-site to location specific JSEAs. 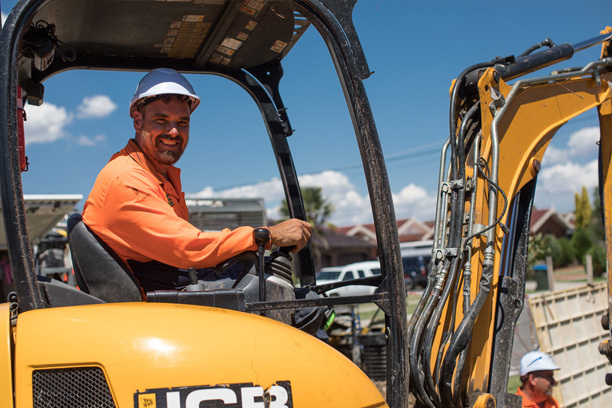 Our crews are fully equipped with different sizes of pneumatic boring tools, excavators, safety and road signage, and hand and electrical tools needed to complete the job as promised. We are also able to provide directional drilling and asbestos removal services and permanently reinstatement all hard services including concrete, asphalt, bluestone.